but… seems their crowdfunding campaign didn´t reached the 100k goal… anyhow, i´m sure they will manage to get the product very soon… is a wonderful product! 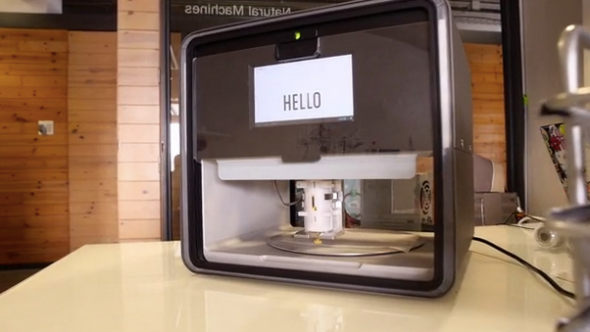 Foodini is a 3D printer for foodstuffs. Its Florida-based makers are hoping their time-saving device becomes as ubiquitous on kitchen countertops as the microwave oven has become. But instead of forcing people to rely on highly processed convenience food that’s larded with additives and unhealthy levels of salt, as microwave meals generally are, they want Foodini to get more people cooking with fresh ingredients, rather than reaching for that pre-processed packet. 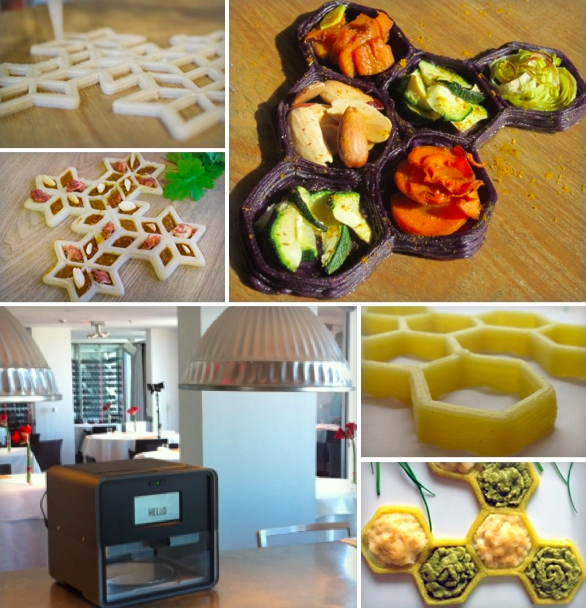 The Foodini 3D printer automates some of the cooking preparation process, by for instance, printing out individual ravioli instead of the cook having to make the dough and fill and assemble each individual piece themselves. It’s not replacing all the preparation required to make the meal, but it’s likely going to speed up aspects of food preparation (without necessarily sacrificing the freshness of the ingredients being used). Currently the Foodini is at the prototype stage, with maker Natural Machines taking to Kickstarter to raise $100,000 to get the device to market. At the time of writing they’ve raised just under $30,000 with 29 days left of the campaign to run so things are looking good on the funding momentum front. 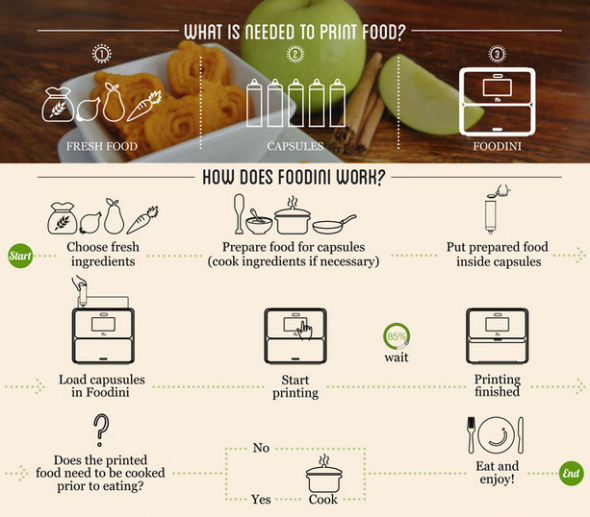 How does Foodini differ to other food-focused 3D printers? The big difference is users aren’t required to use only pre-filled food capsules. The machine uses open capsules that users load up with foodstuffs of their choice. It’s not entirely a free-for-all of course. Food has to be of the right texture to print so it can be squeezed through the Foodini’s pipes. Ergo, that means you’re going to need to prepare those fresh chickpeas/chicken by blending into a nutrient slurry first. Yummy! 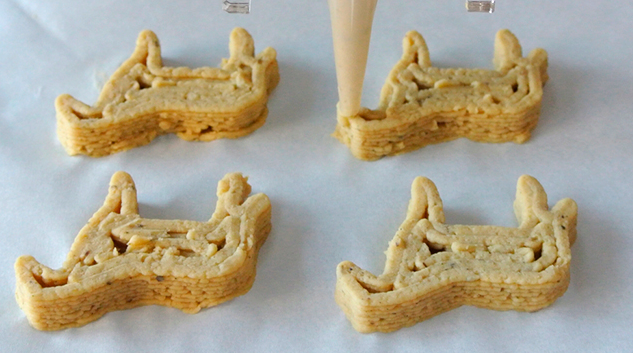 The machine can also print both savory and sweet dishes, so isn’t limited to just printing sugary candies as some 3D printers are. The range of foodstuffs Foodini’s makers have managed to print thus far include the likes of ravioli, pizza, burgers, crackers, cookies and elaborate chocolate vases. Edible plate decorations are another option — and the decorative potential of the device is something Natural Machines is hoping will interest restaurants and food businesses. 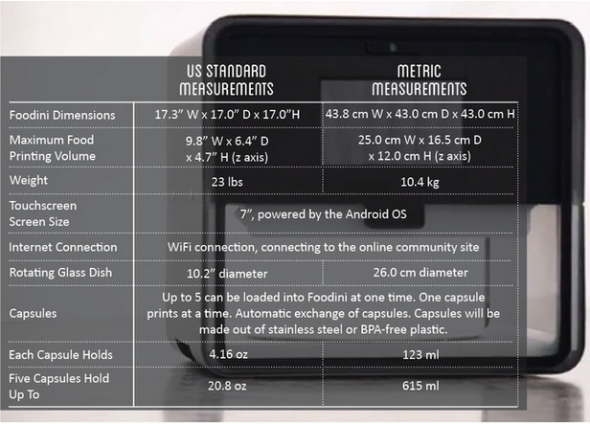 The print time per dish apparently varies depending on factors such as its complexity and the number of ingredients it contains (the Foodini is being designed to hold up to five food capsules at a time). Flatter food types can take a couple of minutes to print, while “intricate chocolate sculptures” can take 20 minutes, says Natural Machines on an FAQ on its website. 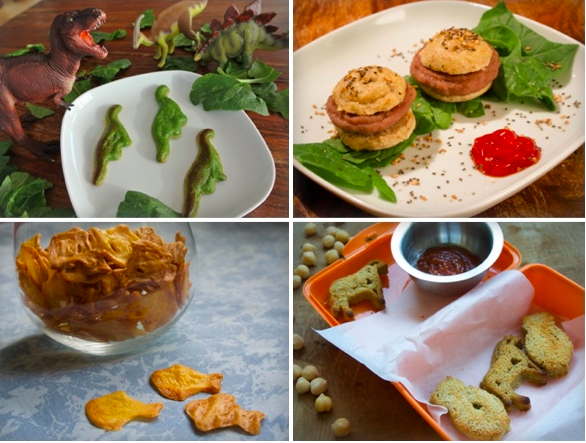 Food can be printed and eaten straight away — if it’s consumable raw or the ingredients has been pre-cooked. Or, if required, printed items can be cooked post-print before consumption. The Foodini has a touchscreen on the front where users select the recipe they want to print, and then load in the ingredients and hit print. They will also be able to configure things like the shapes being printed, and the print layout. 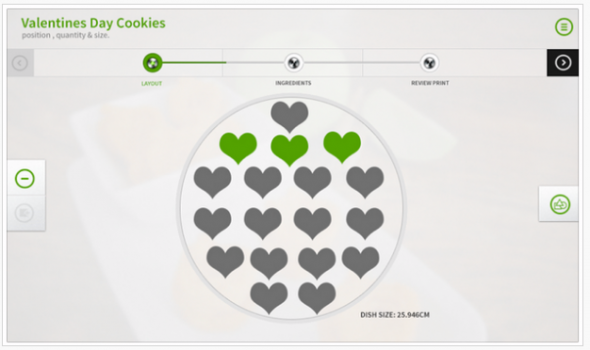 Natural Machines says it’s also building a website for Foodini where users will be able to browse through recipes. And it’s planning to release APIs so third-party developers can customise recipe applications. How much is Foodini going to cost? 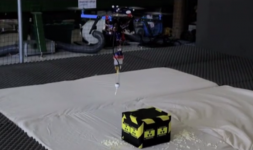 Early bird Kickstarter backers are being offered it at $999. Once all those pledges have gone, it’s going to rise to $1,200. Estimated ship times for those pledge levels are January 2015 but if you really can’t wait to wrap your taste buds around this paste-based future, then a $2,000 pledge will put you first in line to get a Foodini — with an estimated ship date of next October. Video in Spanish of an Spanish chef using 3d printing!